In honour of the new pope – liqueur made from coconut. I’ve been lazy. I haven’t posted a homemade booze for all my dipsomaniac acquaintances in quite some time. My bad. I’ll blame it on the move, or the rain, or sun or whatever. But It’s time to rectify the situation. And with a good liqueur too. A useful liqueur. I found myself at loose ends yesterday afternoon. As they say “idle hands are the devil’s playthings.” Not wishing to be the toy of the great deceiver, I decided to make myself busy. 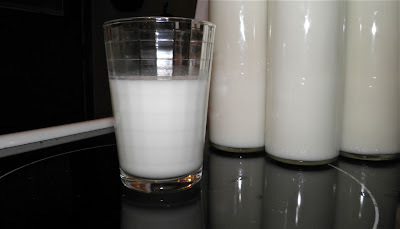 I started a Balkan-style yogurt and set it aside to culture, but still had time on my hands. The yogurt is destined for coconut as well, coincidentally. As thick as whipped cream, and $1.29 at the Superstore. 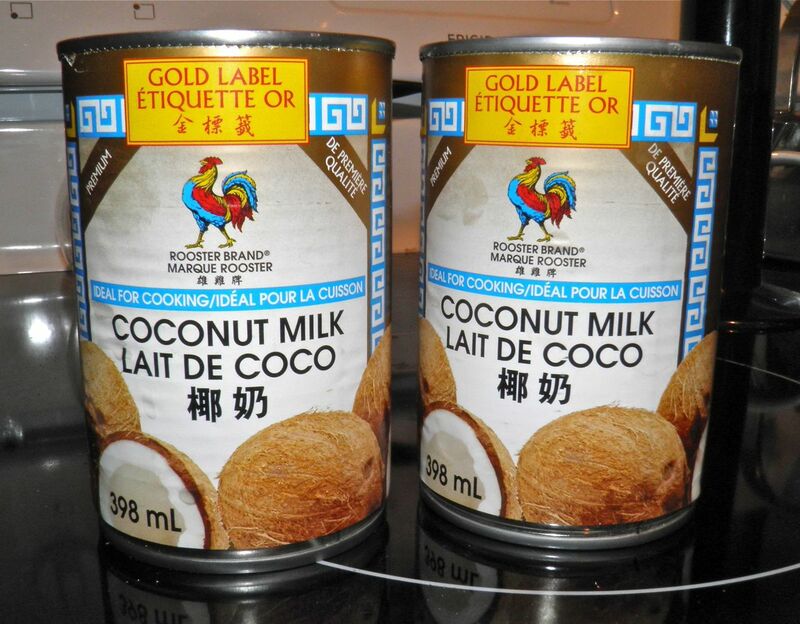 As usual, thoughts turned to coconut milk. 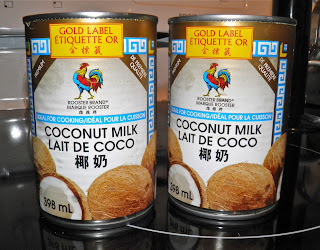 I find coconut milk almost a panacea. I stocked up on my favourite brand the last time I was in town. I love this brand. I really do. It has a thousand uses, apparently. This coconut milk (if you can call it that) is thick like whipped cream. It’s also a little sweet, sort of like a simple syrup. 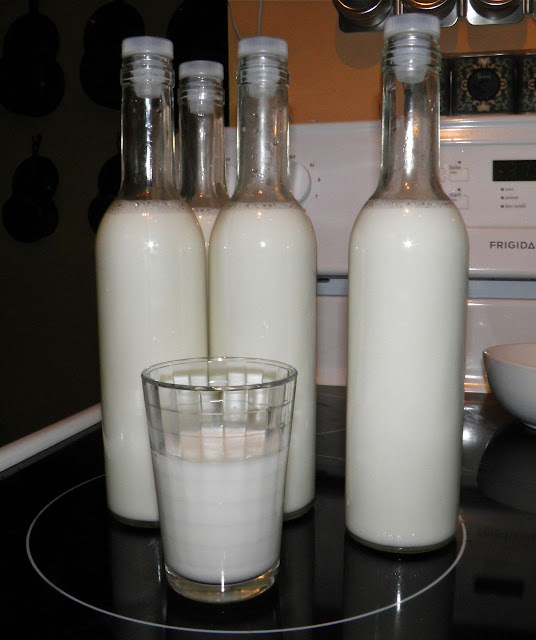 If I was making clear coconut rum liqueur that’s what I would do. Steep the rum, make a simple syrup and combine. I added a little sugar and some vanilla just to sweeten and round out the coconut taste. And I thinned it with some milk. Heating the mixture gently dissolved the sugar. Then it was as simple as mixing in the rum and bottling. I usually make 3 x 375 ml with my liqueur recipes. This one made a full 4 bottles, plus some for the cook. Mind you it’s only around 10% alc. vol. My others are about 15%. 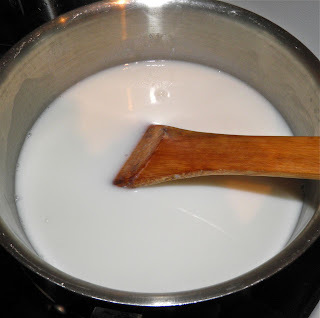 Heat the coconut, milk and sugar until the sugar dissolves. It still tastes... dangerous. This is such a quick and easy recipe that you can decide in the morning to have cocktails in the afternoon and even have it chilled. Less than one half hour to be exact. That includes bottling it. This will find its way into Pina Coladas for sure very soon. Even on the rocks it will be delicious. Once the weather warms a little more onto the back deck we will go! Mix together the coconut milk, milk, sugar and vanilla. Gently heat just until the sugar is dissolved. It will be luke warm – not boiling. Remove from the heat and stir in the rum. Bottle. Refrigerate this liqueur. It has milk in it.